YoYoExpert Blog & Yo-Yo News – YoYoFactory Spin Top Restock! Elec-Trick & Short Circuit! YoYoFactory Spin Top Restock! Elec-Trick & Short Circuit! 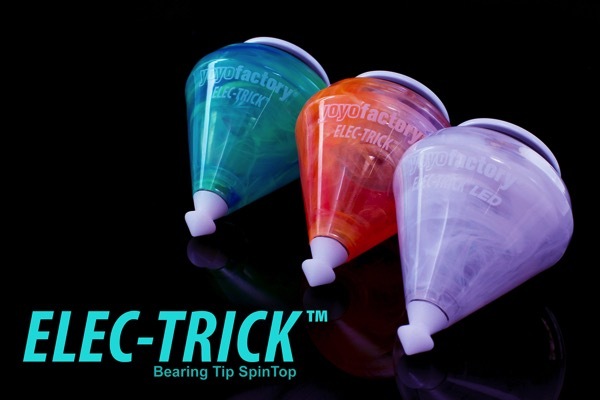 The Elec-Trick is a great choice if you’re interested in spin tops. This bearing tipped top offers professional level performance at an entry level price! It has a tough polycarb body to take impacts while mastering the basic throw or practicing more risky advanced tricks. 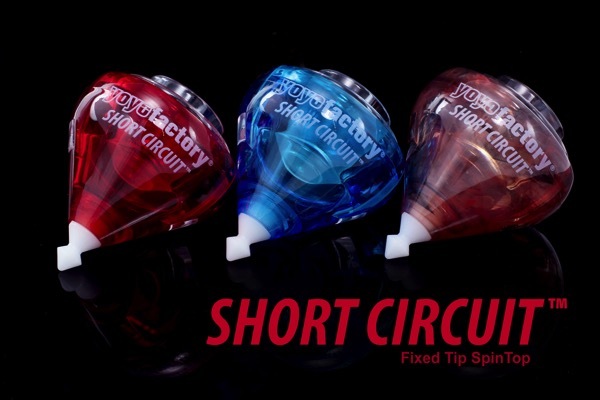 YoYoFactory gave the Short Circuit a carefully designed tip that is excellent for learning and ideal for wire walking and carousel tricks. Perfectly priced for beginners and built to handle expert level performance – The Short Circuit is your perfect introduction to the spin top world!